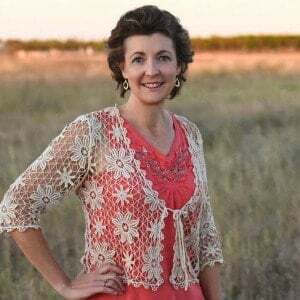 You might not have noticed but, I am getting into the Christmas spirit and I want you to join me! One way it is to get you thinking about the gifts you get to give! 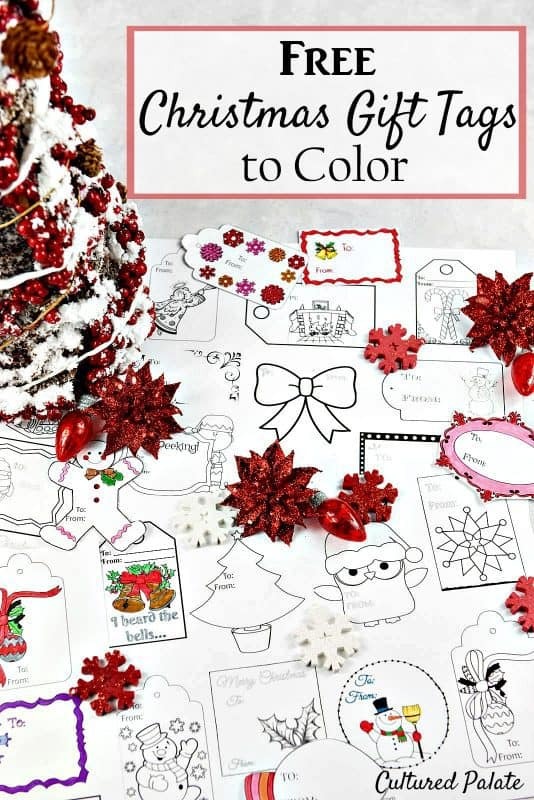 These Christmas Gift Tags to Color will make those gifts extra special because you took the time to give some of yourself to make the gift beautiful. I have a new found love of coloring! It is a great way to relax and to spend time with family. Especially my 9 yr old who loves to color too! So, I have been brainstorming about new designs to create. 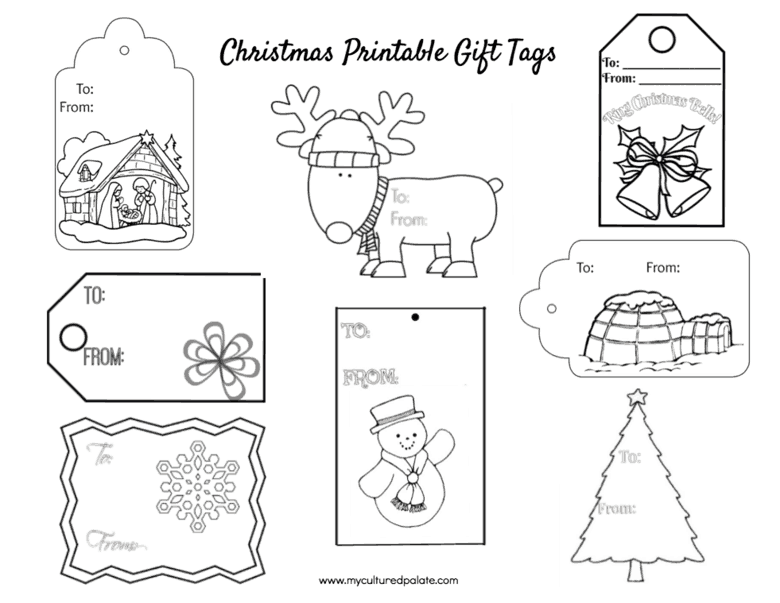 Enter, gift tags. 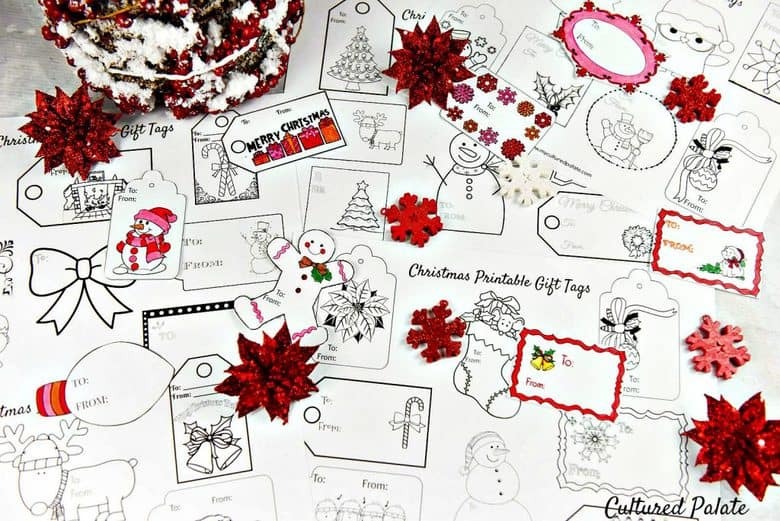 What better way to make gifts look nice without added expense. Yes, I’m normally too cheap to buy gift tags and just write the person’s name on the back of the present. But, not this year! 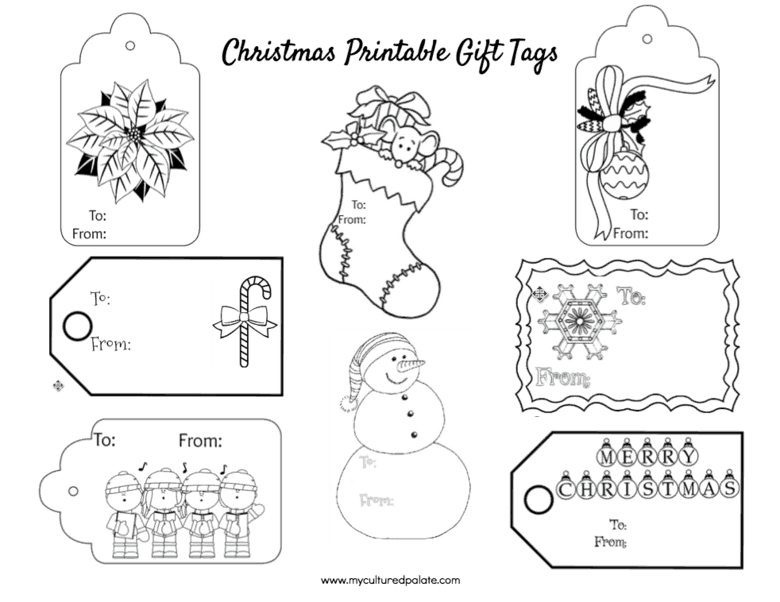 Christmas gift tags to color can be an added holiday bonus for you and your children to enjoy the spirit of Christmas together as you prepare gifts for those special people in your life. 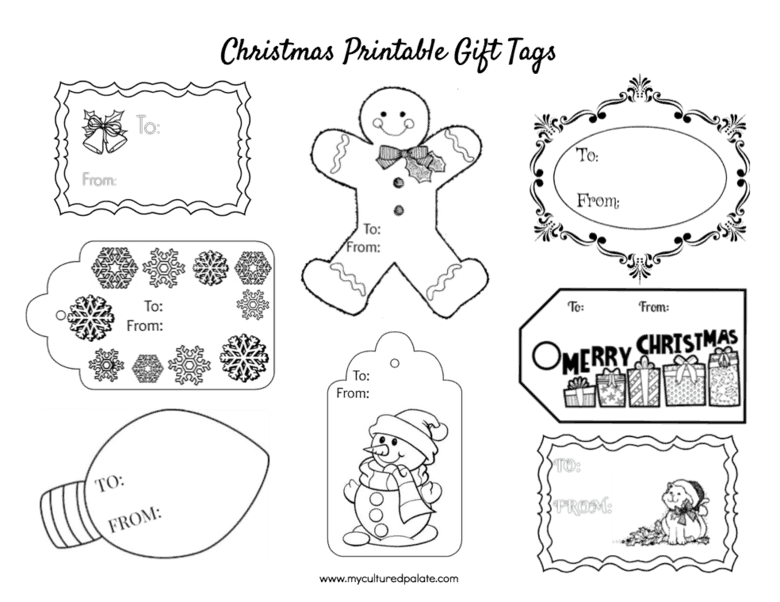 When printing the Christmas gift tags to color, I like to use cardstock because it is a bit heavier and stiffer that regular paper. 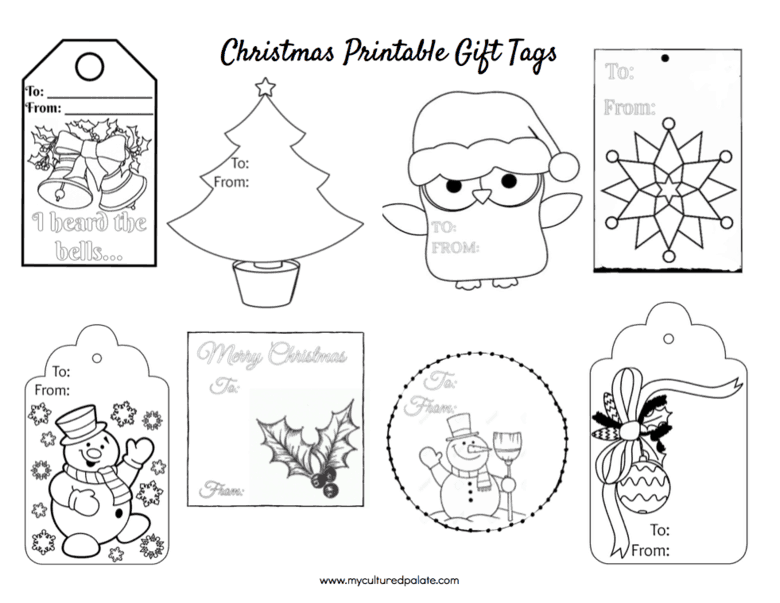 After printing and coloring, punch a hole in the end and attach it to your gift with ribbon. 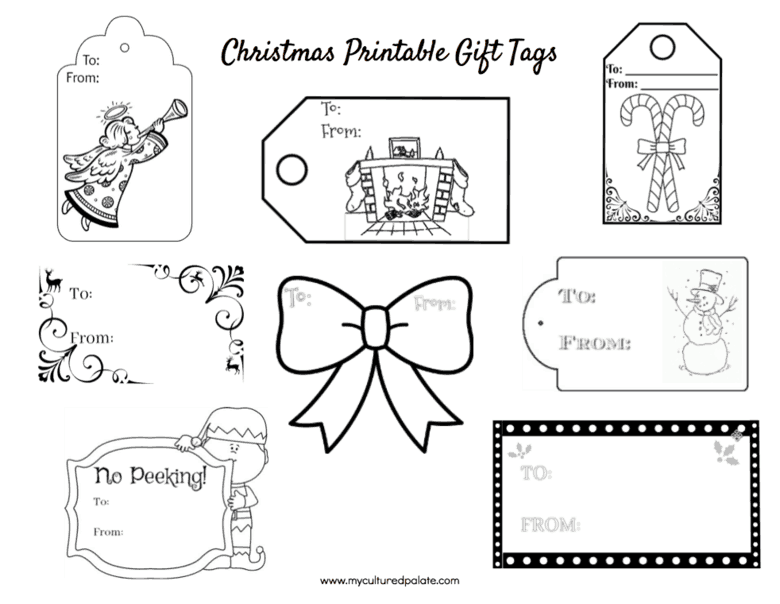 You can also skip using a hole punch and tape it to the present. 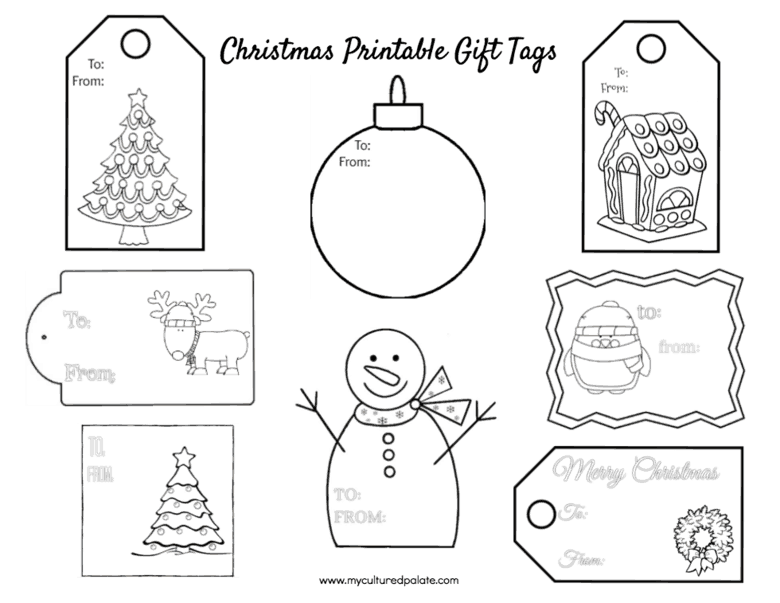 Click on each design picture and it will take you to the pdf for you to print. At the very end of the post is a list of the designs that you can click on and print. If you are looking for a way to keep all your gifts organized, be sure to look at the Gift List which is a free printable in the Daily Life Planner set! Thank you! Great stuff, as I mentioned.Thank you again!